The Polyvore community began when its originator was redesigning the interior of his home. He and his wife made up sets with color swatches and images clipped from magazines. They placed them together and created what was thought of then as mood boards. Since then the idea has blown out and taken off. Polyvore allowed its users to create virtual mood boards, which quickly became known as “sets”. This allowed them to add products into a shared categories with other users who found inspiration through comments and likes. Because of the visual nature of design sets Polyvore was mostly used to build sets in the areas of fashion, beauty, home decoration, and fashion accessories. Some of the sets put together whole outfits which then meant the designers got plenty of fans and followers. Sets also gave them the opportunity to build their brand and create online identities for them. As well, online retailers could upload their product images to Polyvore and link back to their website. They also encouraged Polyvore users to show their products through such activities as board creation competitions, sets and more. 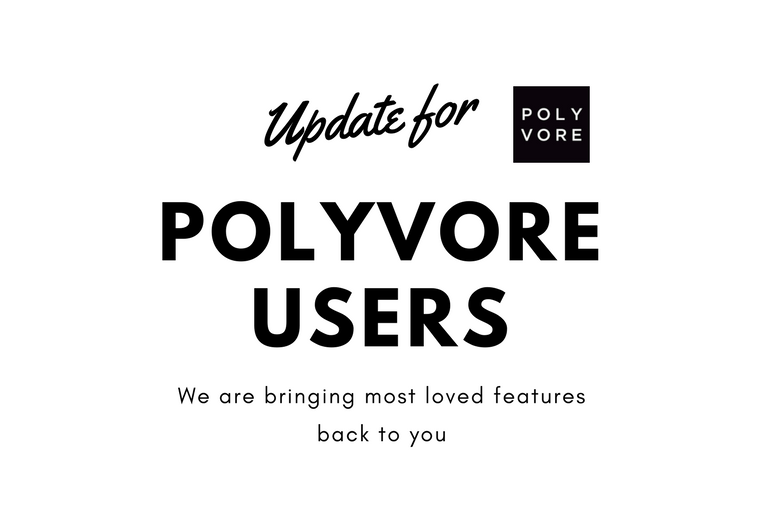 After only a short time, Fashmates has stepped up and become the new home for Polyvore users. It has all the tools needed for Polyvore users to begin to be creative again. Sets can be designed, posted and shared. There are also some great competitions too. No wonder that so many ex-Polyvore users are flocking to Fashmates.